Time for another piece of nostalgia. This was one of the first PC games I owned, and I recently reacquired it via Steam. If I were to describe this game as a beautifully frustrating, scarily brilliant exercise in the psychology of fear, I would be underselling it. This is a multi-layered game incorporating several elements, yet it feels quite simple and is thus easy to get into. 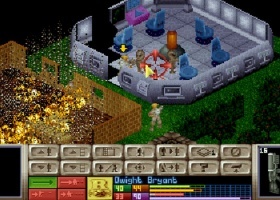 The main part of the game involves an isometric game screen, from which you control your team of soldiers, hunting and defeating alien operatives and infiltrating alien ships. You take it in turns, using your squad’s time units until they’re gone (though you sometimes want to preserve a few for the aliens’ turn), moving your troops about, looking for aliens whilst keeping to cover. The other main aspect of the game is research. As you capture aliens and their technology, you can begin to reverse engineer what you find, developing new weapons and even ships of your own. 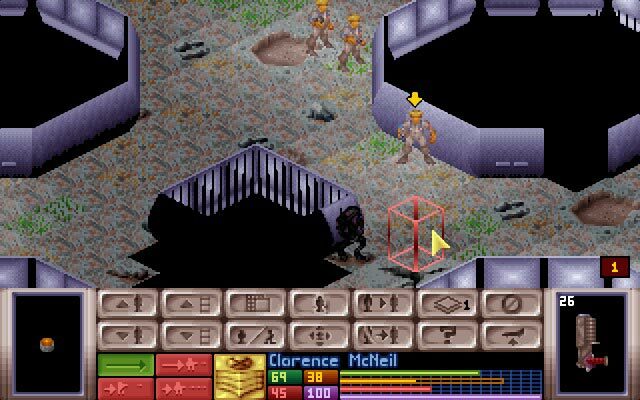 However if you fail missions too many times, or loss too many troops, the nations that fund you will cut your cash flow, which eventually leads to the X-Com project being cancelled. UFO: Enemy Unknown oozes atmosphere. Leading your troops out across a dark field, or down alleyways, with no idea what might be lurking in the shadows or around the corner, is a tense, sometimes terrifying occasion. There are some aliens you really don’t want to run into, especially if your team is under-strength or you lack decent weapons. There’s a nice variety of aliens to encounter, with each bringing their own strengths. 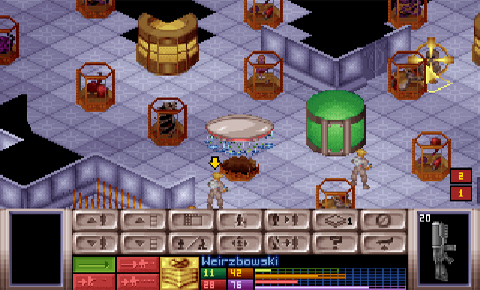 Sectoids (see the picture above) are usually the first extraterrestrials encountered, and they are quite weak, though later in the game they start to wield telepathic powers. Floaters (no puns, that’s what they’re called) are purple humanoid creatures that can fly – encountering them can help push the development of hover suits. Some aliens – such as the Chrysalids – would send me running (their armoured hides and means of transforming your troops into more of them made them fearsome foes). 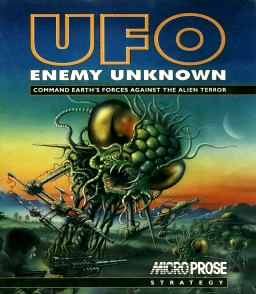 The drawback to UFO: Enemy Unknown is that it could be a difficult game to complete (even on the easiest difficulty setting). Failing missions leads to less money, which makes it harder to carry out research, recruit troops and build new bases, which in turn makes it harder to complete missions. You see where I’m going with this. Still, the game is entertaining, even now. I haven’t played the remake, but if it’s half as good as the original, it will be a cracker.